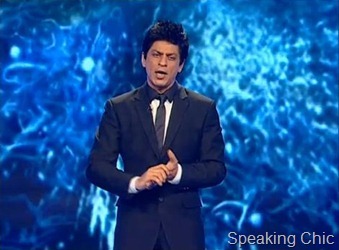 I confess: I love Shahrukh Khan. So if he’s on TV, I have to watch. In the first episode of his just-launched TV show Zor Ka Jhatka Total Wipeout on NDTV Imagine, Shahrukh Khan wore a slim-fitted black suit with a twist. 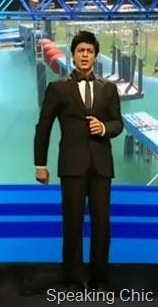 Shahrukh is wearing a white shirt with a black collar, and has paired it with a black tie. That’s an interesting twist to an otherwise classically formal wardrobe. On Wednesday night, Shahrukh wore a suit, without the tie, and left his collar unbuttoned to show a hint of dual-toned element of his shirt (the row of buttons placed on a strip of black). So while Zor ka Jhatka is riddled with a poor script, bad puns and a complete waste of Argentina (where it’s being filmed), King Khan’s experimental sartorial choices (and cutesy dimples) add some life. And these might just be the only saving grace of this otherwise dull show. 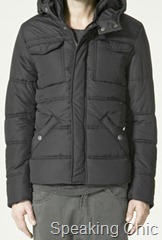 If there’s one thing that stands out among men’s winter wear this 2010 winter, it’s the quilted jackets: we’re seeing them everywhere! But why wear just any quilted jacket? Take a look at these quilted jackets with a twist, great to wear the trend and look different. 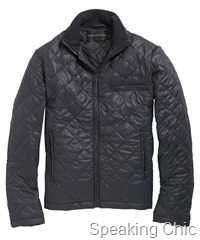 This French Connection jacket breaks the quilted monotony with the addition of the chest pocket detail. 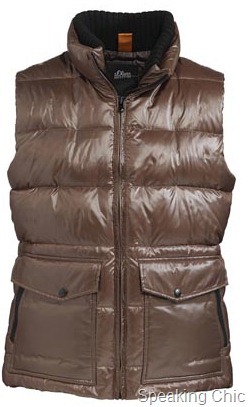 This S Oliver jacket is an interesting mix of several cool trends: the waistcoat, the colour brown, the quilted jacket, amd the bomber, of course. 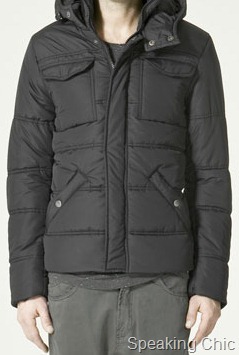 Which of these quilted jackets gets your vote this winter?